The main principles of the design for House F was to create a clean, modern space, using simple straight lines, a lot of light and relations between indoor and outdoor. 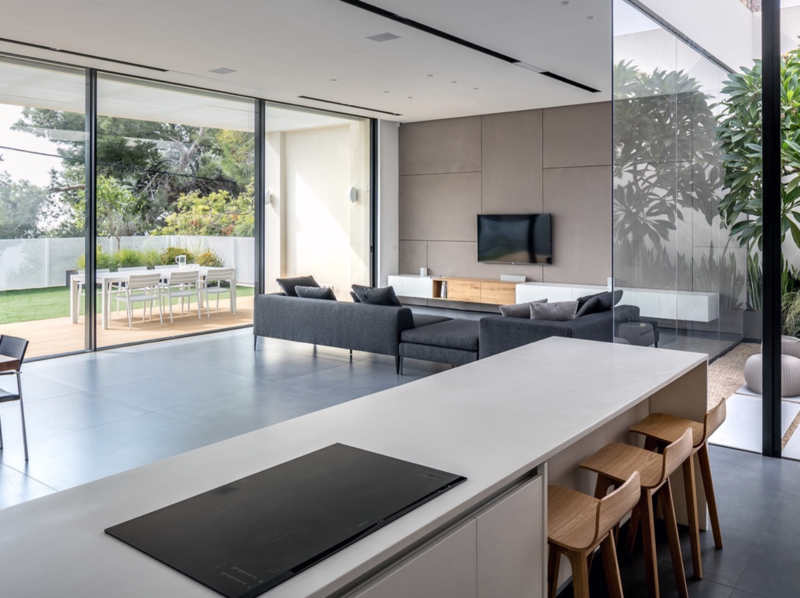 In the living area large scale glass doors with minimal frames were used, allowing natural light to flush the space and connecting the inside with the outside area which includes an outer sitting area, a small lawn and a swimming pool. An inner patio was created in order to allow natural light to reach the inner parts of the house and to separate the public area from the private one. BPDA Board approves 6 residential developments, creating 472 units.